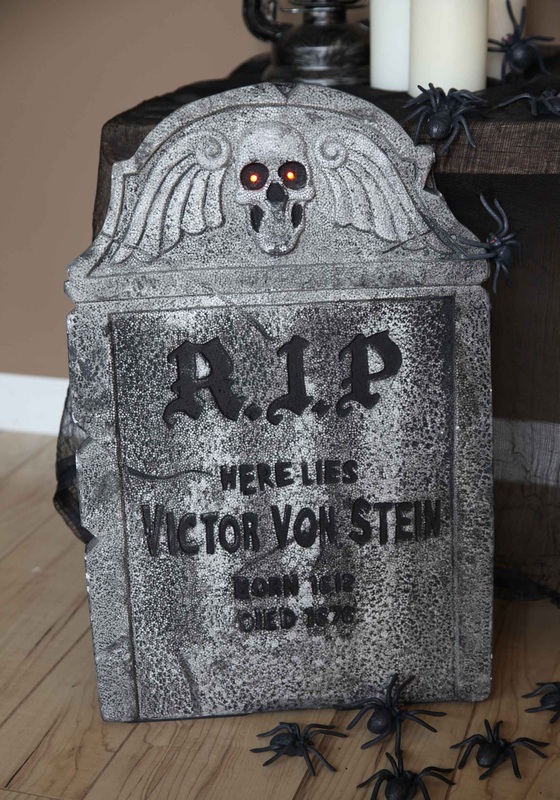 Measures approximately 22" by 14"
Have you ever walked by a graveyard and looked at all of the gloomy tombstones, and wondered if this will be the time that zombies will start popping out of the ground in front of them? It may sound silly, but if (when?) the dead ever rise back up, that's exactly where it'll start! 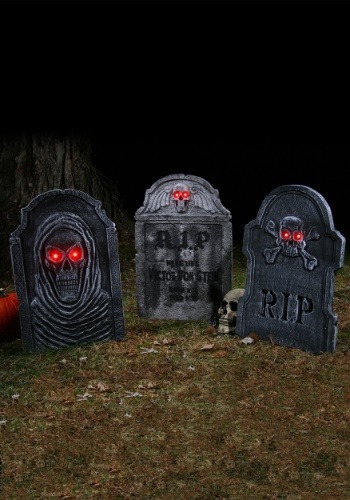 Whether you think zombies are the spookiest part about tombstones, or you just find gothic designs carved into grimy dark rock slabs to be extra-creepy, this RIP Tombstone is the perfect decoration to add some haunting atmosphere to your ghastly Halloween scene! This rigid foam headstone is painted and carved to look like an actual spooky grave marker. And, in case that's not eerie enough for you, the eyes shine with battery powered lights. Anyone passing by your display will be looking over their shoulder for zombies once they see this!